The Saints are calling! They ask for celebration! And St Peter has helped a lot in these last few days with (at times unbearable) sunny weather! 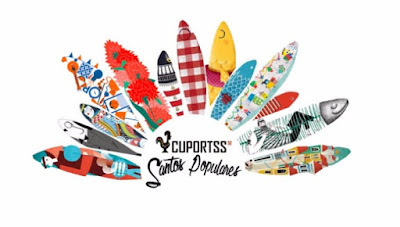 So don't forget, on the 8th of July, from 4:00 pm at Jesus Green, join CUPortSS and everyone for an amazing Arraial de Santos Populares! Price is £8 for CUPortSS members and £10 for non-members, including food and drink and music and all the Santos' cheefulness! More information will be sent to you closer to the date of the event. In the meantime, for more information, please us on Facebook. I have purchased my ticket and can't wait to be a part of the festivities and celebrations. Here's to hoping for a fun, informative and exciting event. This is by far one of the best Los Angeles event venues to hang with friends, have great drinks (amazing beer selection), eat some great food, including the great lunch I had there. Prices are very reasonable and the pizza was awesome.